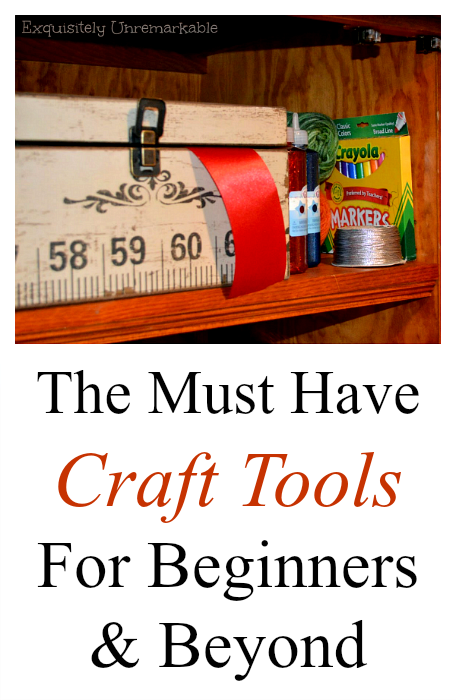 You don't need to break the bank to start crafting, you just need a few basic craft tools and you probably already have them around the house. This post contains affiliate links. You can check out my disclosure for full details. Think you need a bunch of fancy (and expensive) crafting tools to enjoy your hobby and decorate your home? Nope. This girl gets creative without the machines or the mats. My list of most used, must haves are just a bunch of items you probably already have on hand, and if not, you can pick them all up and get your craft on without breaking the bank. Best of all, you won’t need a whole room to store them. You can find many of these items in my Amazon shop for your convenience. 90% of the crafts you see featured on my blog or peppered around my home were made with a glue gun. It’s a quick and easy way to bond just about anything ~ including fabric and trim. There’s no need to worry about drying times or whether a glue is clear or smells bad. The mini version is easier to handle than the big boys and you don’t have to mess with temperature settings. Plus, you can pick one up for less than three dollars. If you’re only going to invest in one craft tool, this is the one hands down. Scissors are a crafting necessity and while everyone probably owns a pair, I recommend three. 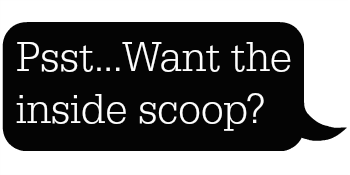 When it comes to creative endeavors, you never know what you’re going to need to cut. Wire? Faux flower stems? Real flower stems? Paper? Fabric? You get the idea. Some of those items will wreck your nice scissors, so an older pair is great to have for that kind of work. They don’t need to be expensive, the ones in the dollar store hardware aisle work great. The third is a dedicated pair of sewing scissors if you plan to work with cloth. I never, ever cut anything but fabric with mine, otherwise they’ll never be the same. I actually hide my pair from the family. Shh. They can’t be trusted. Ribbon is a multi-purpose crafting tool. It can be used as an adornment on a wreath, a Christmas tree, a gift basket, a tea towel, a chandelier chain or even curtains and pillows. 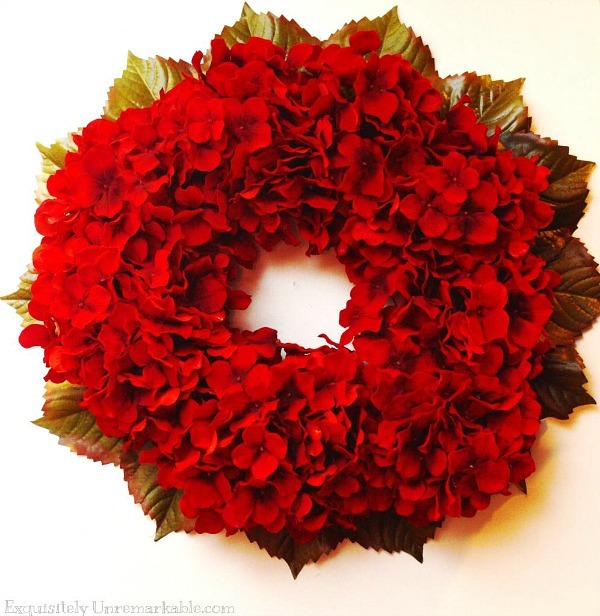 It can be used to hang items like wreaths, ornaments, picture frames and wall art. 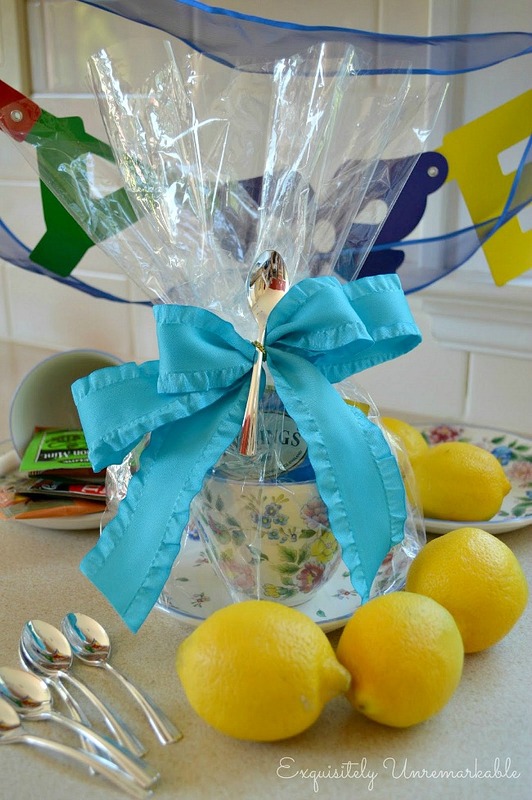 It can also be used as a direct part of a craft, like a banner. The possibilities are absolutely endless and so it stands to reason that ribbon should be included on the list. It’s readily available at dollar and craft stores and if you watch the sales, you can pick it up for a song. Well, maybe not an actual song, but you get the idea. 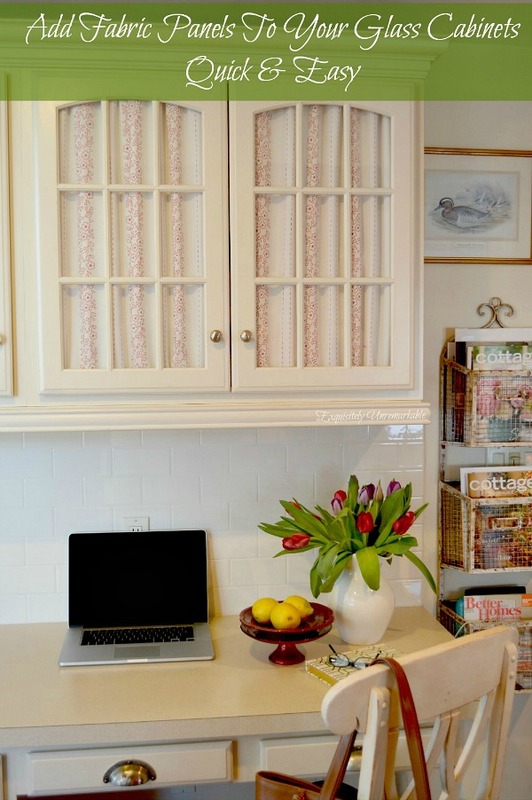 Paint is a basic craft supply, but which color should you always have in the house? Nine times out of ten, when I reach for paint, it’s white. 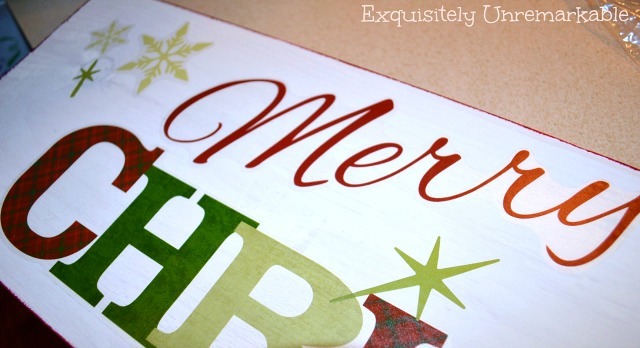 I generally coat the background of my wooden signs with white. When I stencil on outdoor pots or wooden furniture, it’s white and when I am touching up those previously crafted items, of course, I need that white. There will be times you want to add some color, but usually you’ll want a very specific hue and you can go out and choose that on a per project basis, but as a general rule, white, applied with a foam brush will be sufficient for the majority of your needs. Not a seamstress? That’s ok. You can still craft with fabric or repair a tear without any sewing knowledge whatsoever. Anyone can master a needle and thread, a basic stitch is just up and down. Don't want to go there? No problem, fusible web tape can help you accomplish anything from hemming pants to creating a custom piece of upholstery. Fabulous results and nobody will ever know that you don’t sew! And there you have them, my list of super unsophisticated (and super cheap) crafting tools. They're not fancy but they get the job done every time. What's your must have creating tool? Ah, yes, the pencil...a crafting necessity for sure!! True beginnings of the world of crafting and all the joy that goes with it and well at times some frustration too! I am not that crafty either but I do have all those things on the list too. Hmmmmmm maybe I could get crafty! I would say you're extremely crafty my friend! And you have many fabulous homes to prove it!! I haven't had craft paint around for years! I should get some! I've got everything else! I love craft paint. It's cheap and does the job! If I started listing my crafting tools, we'd be here until next week sometime! Lol! But I'm 57 and have been crafting for a few decades. You tend to acquire more and more tools over time.... especially if your husband and children are crafters as well. Between myself, the hubs, daughter and son there are few things that you could ask "Would you happen to have a ____?" and get "no" as an answer. I'd like to add T-pins, twist ties and duct tape to your list! Duct tape!! How could I forget that...it's an essential! Its a fabulous cheat for sure!! I too have most of these things . . .
Having things on hand, in one place makes it great when the "craft mood strikes!" Yes!! And the craft mood strikes me often!! Great list. These items will let you work on a variety of types of projects and having them on hand when the mood strikes is nice. Love the fact that you hide your fabric scissors. Have to hide them Lorri or someone will cut their hair...or chicken cutlets! !...with them! Ha!! I have all of those crafting items too. I just wish I had more time in a day to do more fun stuff. Instead I do knit and crocheting during the winter months. Happy crafting and enjoy the weekend Kim. Time is the one thing I think we'd all like to add to our crafting supply list!! Ha! Enjoy your summer crafting!! Totally agree with your list 100% Kim! I do like you do...hide my sewing scissors too.The only thing I don't have on hand is the fusible web...need to get some of that. It's very helpful in a pinch! I love working on crafts when got gives me time, it's so nice and relaxing. You made me think about ribbons, I certainly more of it in several colors. You're very inspiring Kim! Thank you for the list! ARRRRRGH! Emery board, not emergency! Although, if you need to file a rough edge off of something and you don't have the appropriate tool and it's an emergency......lol! An ice pick! We used to have one of those growing up and I remember my mom used it all the time!! It had a green handle...and yup I think you got it right...an emergency emery board! Perfect! Well, not much difference between an ice pick and an awl but I like my ice pick because of the longer length. We had one of those, too! I don't craft much. I do have various types of scissors around the apartment for different uses. I have scrapbook paper, glues, ribbon, etc. Sounds like you have all you need for your purposes, Brenda! I am such a lazy crafter, Judy, I just try to use what I have on hand. If I have to go to the store and then buy tools, I just wouldn't even start a project. I also don't have the room. Of course, when the kids move out and I have more time and space all of that could change. And I could have that same messy room as you!! ;) Happy 4th on your pretty porch!! Great list. I love ribbons, which are somewhat out of control! Have a great week! Yep, I have all those items on hand. I just need a more organized space to use them. Love the glue gun and love a staple gun too. Ah, yes, the staple gun! We are well acquainted! I can almost remember way back when your list was actually more than I had, but things have changed just a wee bit. HAHA...you've seen my craft room! Glue Gun #1 ;-) it is the crafters number one tool I say. I do have a wire cutter in my craft bin. Many times I need a wire cutter for ribbon or pipe cleaners. Definitely #1 ~ no doubt! I have borrowed my husband’s wire cutters on occasion. That’s a good call, to keep those scissors sharp. Can't go wrong with the basics! Nancy, I was thinking about you this weekend when I was sewing....and measuring and cutting. I think I need a mat, grids and cutter. I can see how those tools would make the job much, much easier! Hugs! I have arthritis....not bad but bad enough that too much cutting with scissors makes my hand ache. I bought a rotary cutter and mat years ago and use them for sewing and quiling....love them! I also prefer my Fiskars scissors and pinking shears to the Ghingers that I bought years ago....much sharper and easier on the hands, I find. 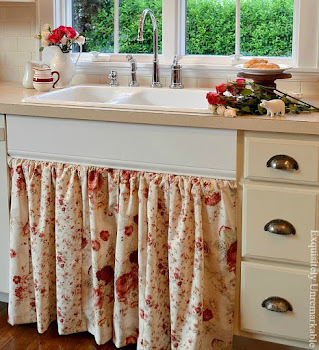 Great list...I would add black or brown chenille stems. I use them for LOTS of things. Also, I would add a couple of small metal rulers...one with a sliding hem guide. They can't be beat, and they are always correct...no stretching there!! Perfect list Kim!! You can never have enough scissor and ribbon around!! I think we may have a scissor thief in our house!! 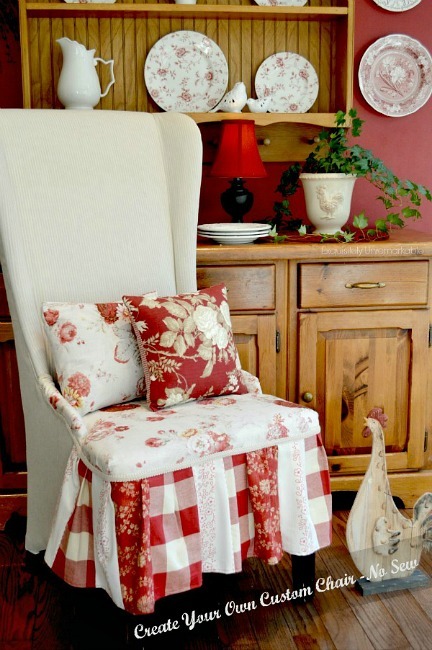 You've nailed down some of the necessities for sure...and I love what you did with that patchwork chair!!! It's flat out perfect.